Without medicinal chemists, life as we know it would be impossible. Modern medicines give us pain relief, cure bacterial infections and fight viruses and cancer. Without the arsenal of drugs at their disposal doctors would be unable to cure many common diseases. It is the ability of medicinal chemists to have a positive impact on the health and wellbeing of millions of people worldwide that motivates many of our students on this course. The course structure shares much with our Chemistry course but you will focus your study more on the organic elements of chemistry with an enhanced level of teaching on drug synthesis, pharmacology and how drugs work in biological systems. This course provides you with the opportunity to spend your third year working in industry, which provides valuable experience and help your personal development. This degree is accredited by the Royal Society of Chemistry (RSC). Bachelor accreditation provides access to qualified membership of the RSC and forms a basis for satisfying the academic requirements for the RSC’s award of Chartered Chemist (CChem), through further study or continuing professional development. 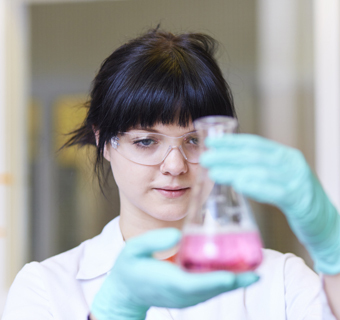 During your first year you’ll explore the fundamental principles that underpin chemistry. In your second year, you will explore the essential concepts of drug design and study structure-activity relationships. During your third year, you will be employed full-time by an organisation in the chemical industry, pharmaceutical industry, or similar, subject to obtaining a placement. In your final year, you will undertake a major research project that will give you the chance to work with experienced scientists, supported by millions of pounds of specialist equipment. You'll have the opportunity to identify therapeutic strategies of the future. The course allows you to study advanced topics such as cancer chemotherapy and is run in close collaboration with scientists from the pharmaceutical industry. This integrated Masters course allows you to undertake a major research project in your final year. 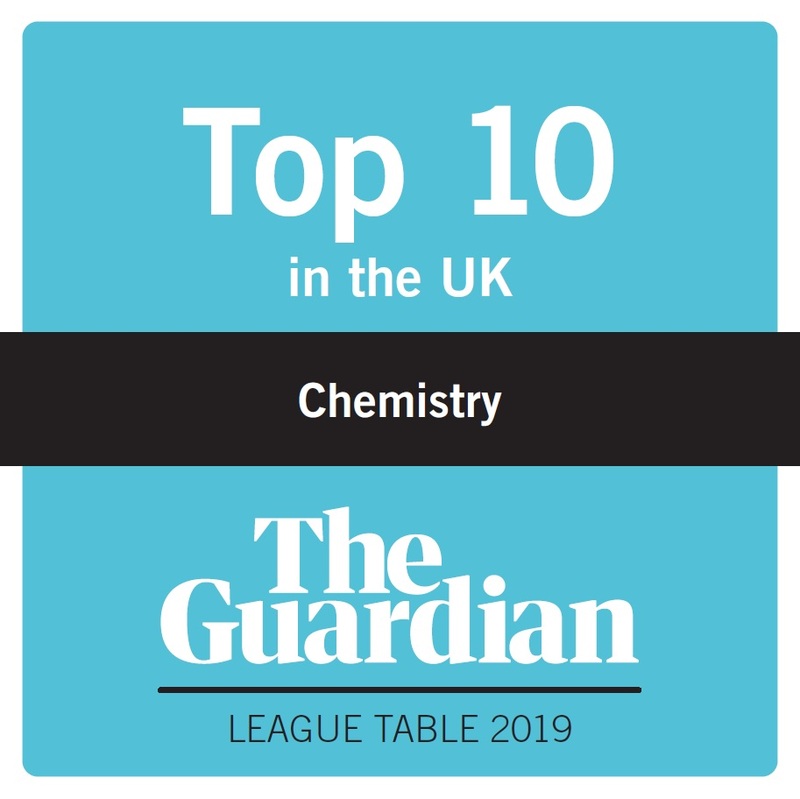 As a chemistry student at Leeds we ensure that you benefit from a wide range of teaching methods, including lectures, workshops, small group tutorials and practical lab work. These different methods of teaching, together with the continuous support of our teaching staff, enable you to effectively apply what you have learnt through a series of exams, coursework, and continuous assessment. This means that you graduate with the correct mix of knowledge and transferable skills for a successful future career, whatever you choose to do. The types of assessment used for each module aim to measure the learning outcomes we want you to achieve. Although formal end-of-semester examinations are predominant, often accounting for 80% or more of the formal assessment, many modules include a significant coursework element. You are also continuously assessed through practical work. GCSE: English Language grade C (4), or an equivalent English language qualification, and Mathematics grade B (6). Pass 60 credits overall with 45 credits at Level 3, 30 credits with Distinction and the remaining 15 credits with Merit or above. Must contain a significant number of Chemistry and Mathematics modules. Suitable combinations of Scottish Higher and Advanced Highers are acceptable, though Chemistry must be presented at Advanced Higher level. Typically AAABB including Chemistry at Advanced Higher. We accept a range of international equivalent qualifications. For more information please contact the School of Chemistry Admissions Team. IELTS 6.0 overall, with no less than 5.5 in any one component. For other English qualifications, read English language equivalent qualifications. After you apply we will assess your application based on the information on your UCAS form. On the basis of this information we will decide whether to invite you to one of our informal interview days which, for UK based applicants, are an essential part of the admissions process. Read more about how to apply on our School of Chemistry website. Suitable applicants will be invited to an applicant day as this gives you the opportunity to meet our staff and students, explore the School and University and find out more about your course. During the day you’ll have an informal interview with an academic member of staff, to check that it’s the right course for you and your career plans, have your questions answered and find out more about studying at Leeds. After you apply we will send you a link to book your place on the applicant day, if you are unable to attend and have previously attended an admissions event at Leeds then please let us know. In the case of some non-standard qualifications, it may be necessary for an extended technical interview to play a bigger part in the selection procedure. This is to ensure that the course is suitable for you and that your current studies have prepared you for the curriculum at Leeds. If you are unable to attend, a telephone or Skype interview may be arranged. For further information, read our admissions policy. The School of Chemistry offers a range of scholarships for Home, EU and International students. Scholarships for 2020 entry are to be confirmed. Our integrated Masters courses are specifically designed for students considering a career as a professional chemist or who may want to continue on to do a PhD. One of the key features of this course is the individual practical research project, which forms a major part of your final year of study. It is your opportunity to carry out a brand new project, supervised by a leading academic, in an area of medicinal chemistry of your choice. The quality of the project work is so high that a number of our final year research projects are published in peer-reviewed journals every year. Many of our students find this the most exciting and rewarding part of their degree. With the depth of chemical knowledge in combination with generic skills that you develop over the duration of this course, you'll be prepared for a career in a range of areas both within the chemical industry and in a range of other sectors, from finance to management and teaching to scientific journalism. The University of Leeds is in the top ten most targeted universities in the UK by graduate recruiters, according to High Fliers’ The Graduate Market in 2019 report. For further information on career paths and employability please see our careers pages. Throughout your degree course we will make sure that you have the support and opportunity to develop the skills and experience you’ll need to make the most of your career choices. The students’ union also provides volunteering opportunities which can help you in your personal development. We teach problem-solving and high level thinking at all stages of your degree. Our programmes provide you with opportunities to develop the core subject knowledge and skills that you need to progress to a career in a particular area. Additionally, we offer skills development modules and modules that will give you an insight into industrial new product development, from concept to market, in the chemical and allied industries. These modules lead you through the various stages of setting up a new social enterprise, from the inception and development of the idea itself, through preparation of a business plan to creating a funding proposal for potential investors/grant awarding bodies. The industrial placement (“Year in Industry”) scheme provides you with the opportunity to experience salaried work before you graduate. Employers actively seek graduates who already have work experience and it can make all the difference in interviews. In addition, the opportunity to work every day with scientists who are experts in their field is an incredible opportunity to enhance your knowledge of chemistry. On this course, your industrial placement replaces the third year of your degree (it does not add an additional year to your studies).